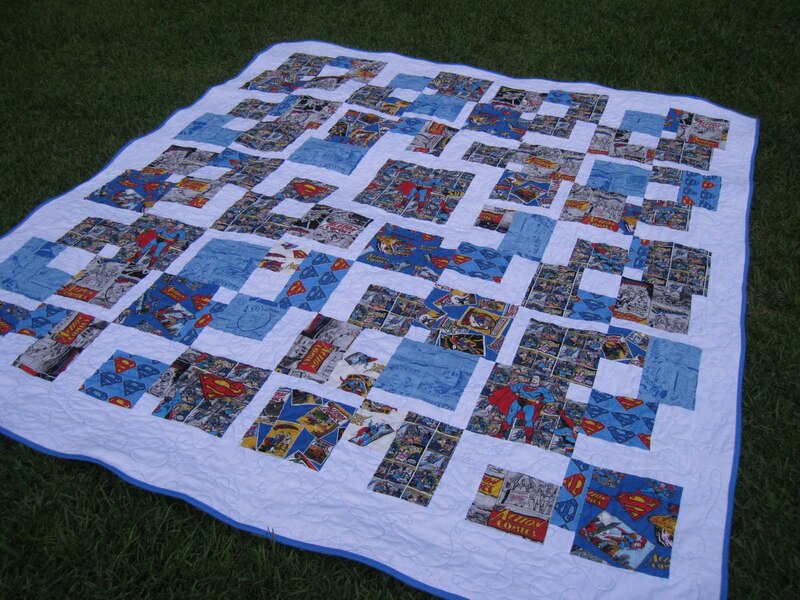 What kind of hero do you feel like being today? 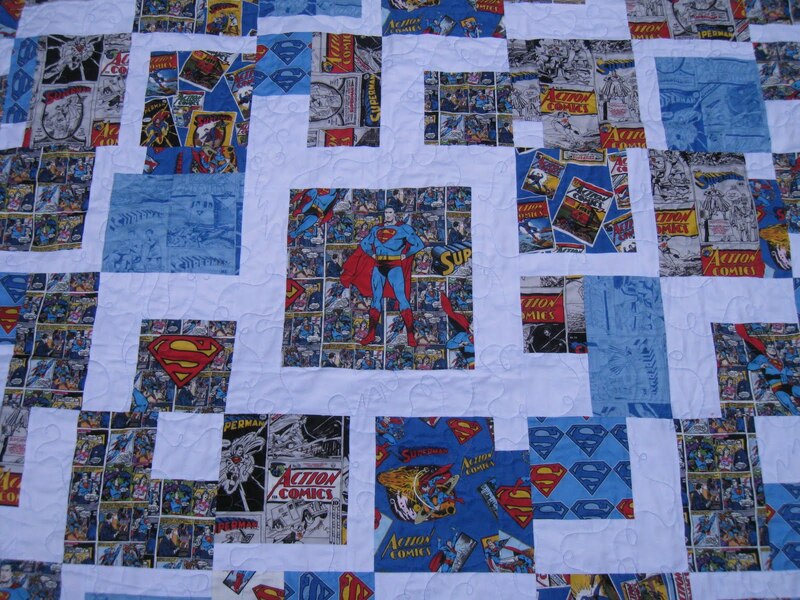 Superman? 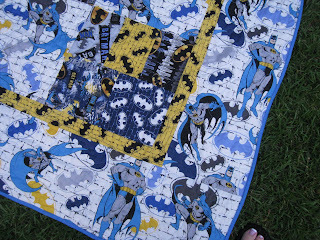 The Batman side of the quilt is the Just Can't Cut It pattern which is always a go-to pattern for me and is great for fabric that you don't want to cut up too small. 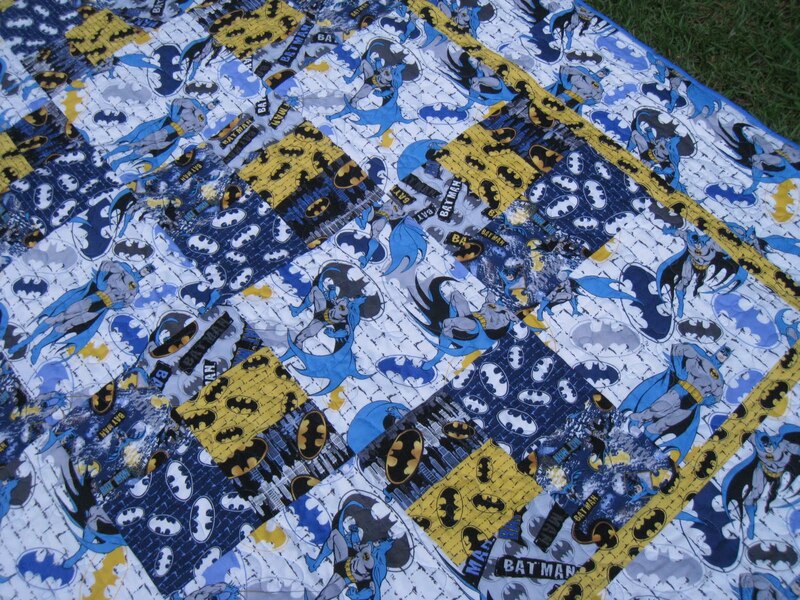 It also goes together pretty fast and that's is always a plus, especially on a full size bed quilt like this one. 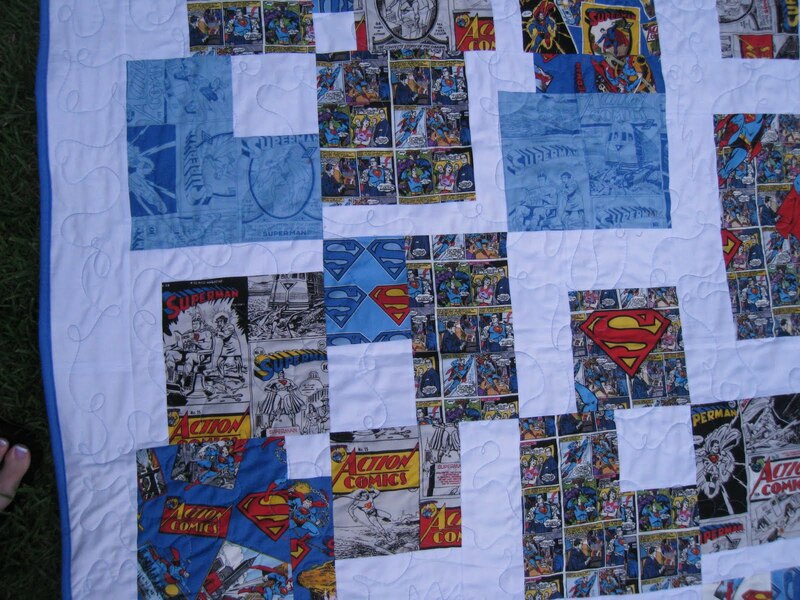 The Superman side was largely based on Faith's Echino Squared quilt. 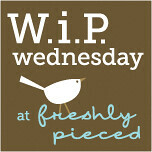 She always has the best ideas and her blog is fabulous. She's a very creative and talented woman who always has something great that she's working on. 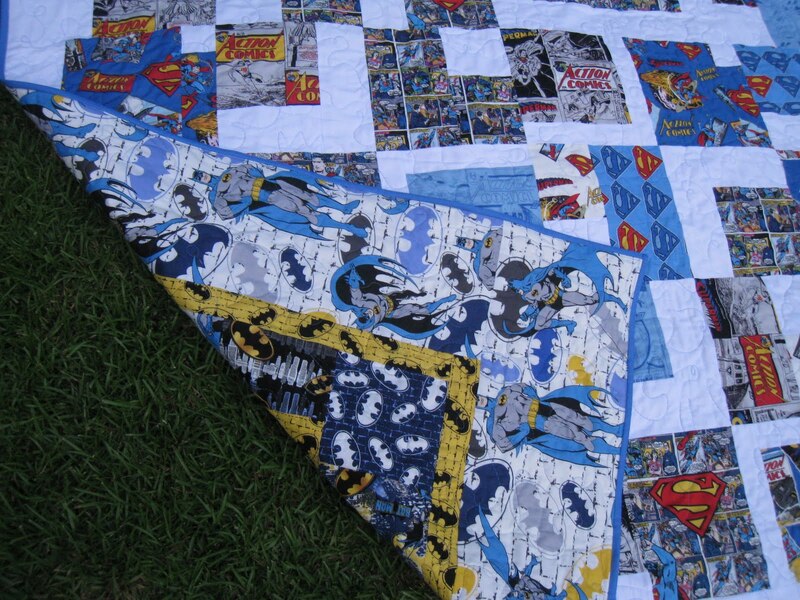 This quilt is going to make one little 4 year old boy very happy. Cameron LOVES superheros so I was especially happy to get to make this quilt for him. The quilt is reversible so he can switch it around any way he wants depending on who he's pretending to be for that minute/hour/day. It changes so frequently, you know. I hope he gets a lot of use out of this and keeps it forever! It was made with love, that's for sure. 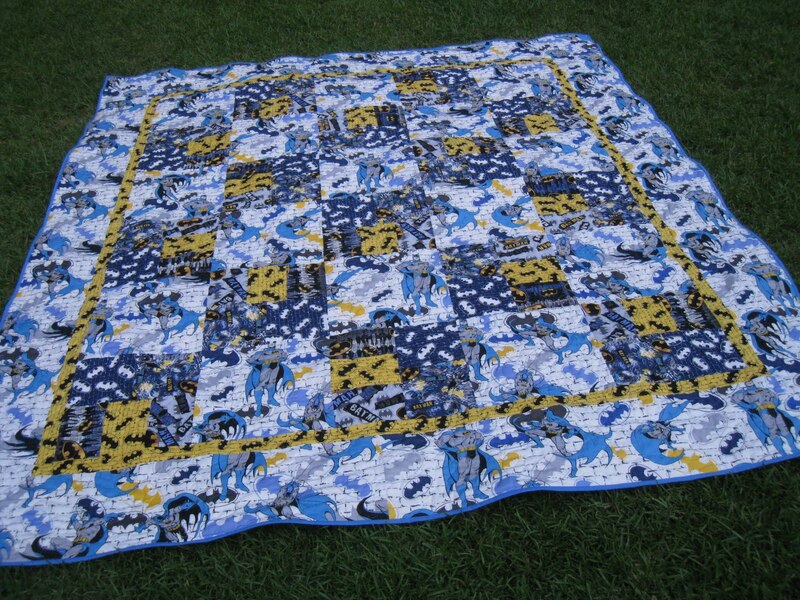 A big thanks goes out to The Grandmomma for doing such a wonderful job on the quilting. 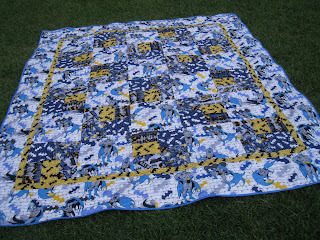 She wasn't too thrilled about it being reversible but she made it work and it looks fantastic! Thank you! SWEET!!! What a fun idea!! "SUPER" cute quilt!!! Such a great job Mitzi! That will definitely be treasured for quite a while! The 'reversible' is amazing! Good job! I was wondering if you were still interested in proof reading a pattern for me? If you are just email me and I'll send you the draft.